Stallion show Leeuwarden - Camping "It Wiid"
Visiting the stallion show in Leeuwarden? 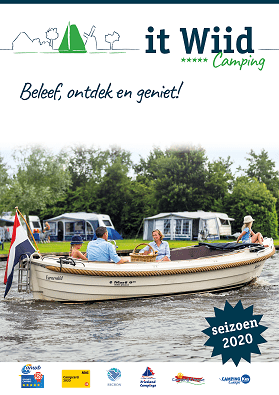 Camping It Wiid has the perfect sleeping accommodation for you during the stallion show in Leeuwarden! Only 15 minutes from the Expo in Leeuwarden. Layout is as follows: living room, bathroom with shower and bath and separate toilet. The upper floor has three bedrooms, each with two single beds. There are single bed quilts and a pillow for each bed. The 8-persons bungalow has an extra bedroom (downstairs) and bathroom.